It is almost impossible to read a daily newspaper or listen to news reports from television and radio without hearing about an outbreak of an infectious disease. On 13 March 2014, the New York City Department of Health investigated a measles outbreak. Sixteen cases including nine pediatric cases were detected, probably caused by a failure to vaccinate the victims. On 12 February, an outbreak of a common microbial pathogen known as C.difficile occurred in several hospitals in Great Britain. This pathogen induces severe cases of gastrointestinal distress including diarrhea, fever, and stomach cramps. One of the main problems with a number of microbial pathogens like C.difficile is that they have become completely resistant to many known drugs. How did this occur? Antibiotics, complex substances produced by certain types of microbes that destroy other microbes, were hailed as miracle drugs when the first one (penicillin) was discovered more than 70 years ago by Alexander Flemming. Although over 70 useful antibiotics have been discovered since penicillin, many can no longer be used because microbial pathogens have become resistant to them through evolution. In fact, over two million people in the United States become infected with antibiotic resistant pathogens every year, leading to 23,000 deaths according to the Centers for Disease Control and Prevention (CDC). New non-antibiotic drugs are always being sought to treat infectious diseases (mostly microbial because viral diseases are not susceptible to antibiotics). One such new discovery is a commonly used pain medication called Carprofen which inhibits antibiotic resistant pathogens. Thus, the “war against” infectious diseases remains an ongoing focus of medical research. Of course there are many other pathogens (both microbial and viral) besides those mentioned above that assault us and our body defenses constantly. They include pneumonia, dysentery, tuberculosis, tetanus, diphtheria, scarlet fever, ulcers, typhoid, meningitis, plague, cholera (bacterial), polio, HIV (AIDS), rabies, influenza, measles, mumps, the common cold, yellow fever, and chicken pox (viral). Nevertheless, all of us are not equally “susceptible” to each infectious disease — a poorly understood term that determines why some of us get one disease but not another, or why some diseases occur in the winter while others occur in the summer. This brings us to an important concept, namely, that there is no way to be free of microbes that inhabit every “nook and cranny” of our bodies. Of the approximately ten million cells that make up the human body, there are billions of microbes that come along with them. 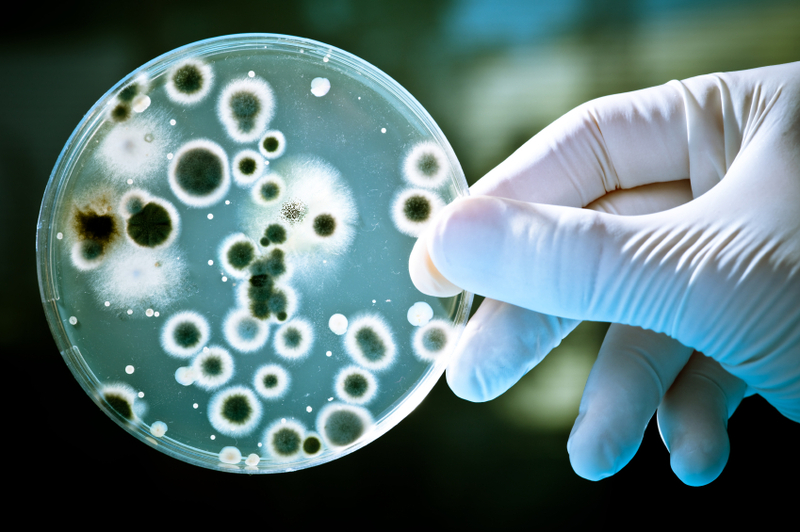 Most microbes that inhabit our bodies are necessary for our existence. Together they make up what is called the “microbiome” consisting of a diverse group of microbes that help keep each of us healthy. Most of them are found in the gastrointestinal tract where they aid digestion; synthesize vitamins and other necessary biochemicals our cells cannot make; attack and destroy pathogens; and stimulate our immune system to act in the same way. Nevertheless, with this constant assault, one might wonder how it is possible we have survived for so long. There are a number of other variables besides the “microbiome’ that are responsible and that are still poorly understood. These include an ability of a host (us) to coexist with a pathogen (we keep them at bay or limit their spread internally like tuberculosis), an ability to mount a furious immunological attack on the pathogen to destroy them, or an innate ability to remain “healthy” (a vague term that really signifies the fact that all of our metabolic systems are operating optimally most of the time like digestion, excretion, blood circulation, neurological or brain function, and healthy gums and teeth among other systems). Where does this innate ability come from? Simply put, genetic phenomena (both in microbes and in humans). These traits are not only inherited under the control of genes but their functions are also controlled by such genes. Different pathogens have different sets of genes which act to produce a specific disease in a susceptible host. However, it is also why individual hosts (humans) are more or less resistant to such infectious diseases. How does the body interact with these “foreign” entities? The immune system must protect the body from attack by pathogens and also from the formation of abnormal cells which could turn cancerous. Two types of immune responses exist. One is under the control of antibodies (proteins which circulate in the blood stream) that resist and inactivate invading pathogens by binding to them. The other is mediated by a certain type of white blood cell called a lymphocyte that destroys abnormal (potentially cancerous) cells and viral infected cells. Together, with other white blood cells, they present a formidable defense against infection and abnormality. It takes time for an immune response by antibodies to develop during a pathogenic invasion because there are many components involved in the activity. They are usually divided into primary and secondary responses. The primary response represents the first contact with the antigen which after a period of time results in an increased production of specific antibodies that react only to that antigen (which by the way are also produced by certain lymphocytes called “B” or plasma cells). Once the infection is controlled, antibody levels fall considerably. If, however, another infection occurs in the future by the same pathogen, a much more vigorous response will result (called the secondary response) producing a much faster development and a higher level of antibodies. Why is the secondary response so much faster and vigorous? This phenomenon is due to a remarkable property of the immune system in which the primary response is “remembered” after its decrease by the preservation of “memory” “B” lymphocytes that circulate until the secondary response occurs, no matter how long it takes. William Firshein is the Daniel Ayers Professor of Biology, Emeritus and author of The Infectious Microbe. He chaired the Biology Department at Wesleyan University for six years and published over 75 original research papers in the field of Molecular Microbiology of Pathogens. He was the recipient of several million dollars of grant support from various public and private research agencies and taught over 6,000 graduate and undergraduate students during his 48 year career.